Jeff looked up at the sun and wiped his brow. It was a hot November Sunday and he was mad. He had on his woolen army uniform and was sweating like a pig. He also felt like a fool standing out here in an old moth eaten outfit he’d outgrown. Silently, he cursed himself for getting talked into this. A month ago his grandson had asked him if he would join him on a float the Boy Scouts were having in the Veteran’s Day parade. He’d said yes without thinking he’d finagle out of it when the time came. But, when he saw how enthused the boy was in the preparations, he didn’t have the heart to back out and disappoint him. Standing besides him, in his Navy blue bell bottoms, was his friend Hank. Next to him was a young Marine lieutenant in dress blues, the boys got from the recruiting office in Springfield. His presence made the two of them look ridiculous. The scouts had pitched a tent in the middle of the float and were gathered around it. His grandson Jimmie was in front carrying Old Glory. 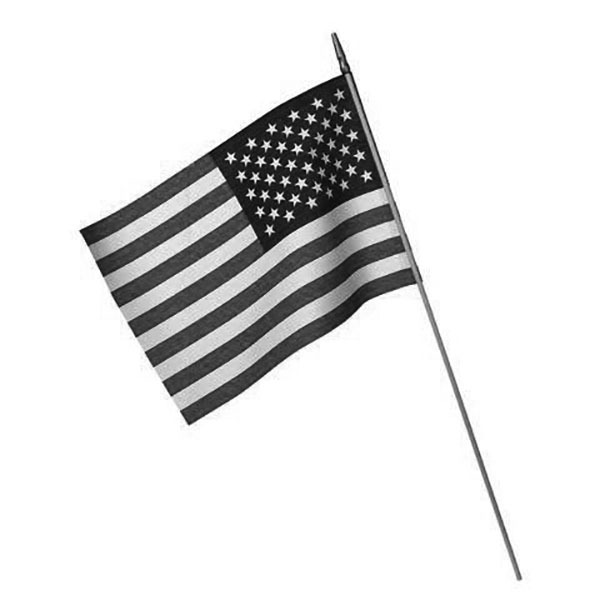 Not a breath of air was stirring and the flag hung limp in front of Jimmie. It looks like I feel, Jeff thought. The truck, pulling the float, started up and when it took off, the buckboard suddenly lurched forward. Jeff, still lost in his thoughts, stumbled backward and darn near took a header on the pavement. He quickly regained his composure and reached down to pick up an old Springfield rifle that someone had dug up for him. 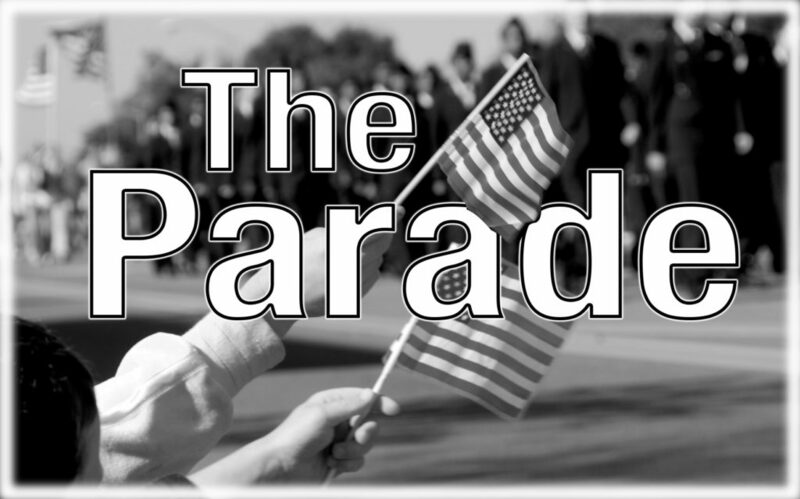 Then he stood on the side, facing out, at parade rest. Yesterday, while practicing, he’d tried putting the rifle on his shoulder and quickly decided having it at his side was far more sensible. When they reached the first group of people, a bunch of older men in the group began cheering as they went by. Still irritable Jeff thought, those old fogies are just as crazy as I am. We all should be home on a hot day like this having a cool lemonade and put the past behind us. Then he spotted a little girl about four or five years old dressed in red pants, a white shirt, with a blue cap on top of her golden curls. She was waving a little flag high above her head. He thought of the day he came home from the service. His wife had brought him home from the station and his oldest daughter Crissy, about the same age as this girl, was standing on the porch waving a flag to greet him. This was the first time he’d seen her as she was born after he left. He then waved to the girl below him and when she blew him a kiss, a tiny tear trickled down his cheek. Crissy had done the same thing that day. The band ahead of them then blared out with the Stars and Stripes Forever. It immediately took him back to that hot day in early May when they were suddenly called down to Headquarters. Everyone, dressed in fatigues, hastily assembled there in a haphazard formation. The CO told them that Germany had surrendered and the war in Europe was over. Then the Stars and Strips Forever came booming out over the PA system. Stunned, everyone stood silent trying to comprehend what they just heard. Then they all began hooting and hollering and began celebrating their first VE day. They felt good about their country that day. “Hey mister is that gun loaded?” This came from a freckle faced boy grinning up at him and shook him out of his thoughts. “No son, you never carry a gun loaded unless you’re out in the woods hunting,” he hollered back. “Yes sir,” the boy said and raised his hand to his brow to salute. Jeff returned his salute and gave him a thumbs up. The boy pulled a his father’s hand and told him what Jeff did. The man laughed and waved at Jeff. He looked back at his grandson proudly holding the flag. When Jimmie saw him smiling at him he broke out in one as well. This brought another tear to Jeff’s eye and he quickly looked away. I must be going soft in my old age, he thought. The next couple of miles went by in a blur. There were a lot of kids waving and yelling Hi. Some were on their parents shoulders, others held by hand or in strollers. Everyone seemed pleased to see the fat old man in his olive drab outfit. On the other side, his buddy Hank was having a ball, as well. In between them, the Marine was standing rock solid at attention staring straight ahead. When Jeff spotted the reviewing stand up ahead, he realized the parade would be coming to an end and felt disappointed that it would soon be over. The band began playing, God Bless America, and without thinking Jeff began shouting the words. “Way to go, Gramps,” Jimmie yelled at him. Then Jeff forgot what came next and had to stop. But when he heard Hank’s voice continue on, he was pleased.